I recently had the pleasure to discuss important government contracting legal updates and their effects on small businesses, at the 11th Annual Veterans Business Conference at Fort Bliss (in El Paso). The Contract Opportunities Center did a fantastic job organizing the conference, which brought together small businesses and government agencies for a wide-ranging discussion on government contracting. 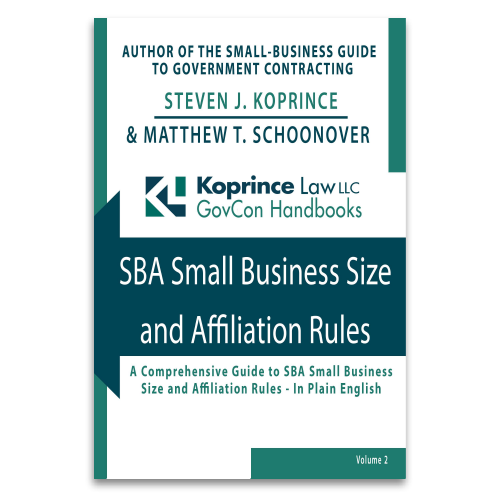 My presentation discussed many of the topics we’ve been following at SmallGovCon, including the SBA’s new small business mentor-protégé program, changes to the limitation on subcontracting, and, of course, the Supreme Court’s Kingdomware decision. I also enjoyed meeting many of the small business owners and government representatives who attended the event. If you attended the conference, it would be great to hear from you. Thanks to the COC for a great event—I hope to see you again next year! I am about to leave St. Louis, where I have been since Sunday for the APTAC Spring Conference. My presentation yesterday focused on common misunderstandings about the SBA’s size and socioeconomic rules (for example, a state WBE certification doesn’t mean that a contractor is a federally-certified WOSB). Thank you to all of the “PTACers” who attended my presentation and asked such great questions. But for me, the highlight of the trip was yesterday’s luncheon, where the APTAC membership surprised me with a special “Friend of APTAC” award. I am incredibly grateful and humbled to be honored by APTAC in this way. Thank you very much to Terri Bennett, Jason Porch, Becky Peterson, and all of APTAC for this great honor. I’ve said it once (actually, I’ve said it many times), but if you are a small business in government contracting, you owe it to yourself to see what your local PTAC can do for you. Visit the ATPAC website to get started. We’re back! 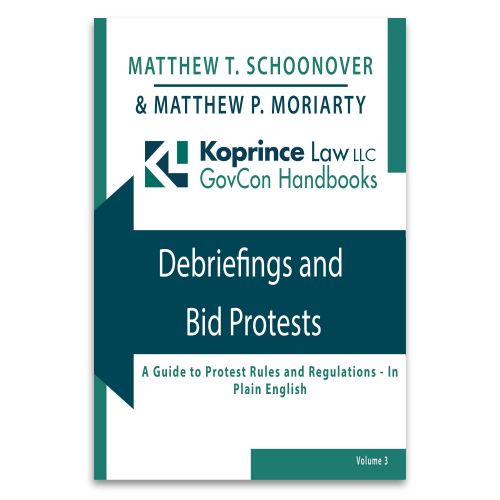 2016 has finally arrived and we here at Koprince Law couldn’t be more excited to dive into the new year with our first SmallGovCon Week In Review post. The first week of January brings some new policies and processes for contracting, a look back at the top procurement stories of 2015, and much more. While Steve was in Salt Lake City, I had the pleasure of participating in the 2015 Veteran Business Training and Outreach Conference in the Philadelphia area. I enjoyed presenting the latest on the Kingdomware case. Many thanks to the attendees—your questions and perspectives about Kingdomware were very insightful. If you attended the Conference, I’d enjoy hearing from you. Thanks also to Clyde Stoltzfus for his work organizing the Conference, and to the Pennsylvania SBDC and the Southeast and Delaware PTACs for hosting. It was a wonderful event!